Facebook's designated "Small Business and Facebook Marketing Expert"
Forbes' #4 "Top Social Media Power Influencer"
Dun & Bradstreet Credibility's "Top Ten Most Influential Small Business People on Twitter"
Fast Company's "Pied Piper of the Online World"
Ready to master insider secrets of social media and achieve stellar results? Mari Smith International delivers a variety of the most effective and engaging social media training, consulting and thought-leadership in the industry. Discover a wealth of proven information and ideas that you can immediately put into action to increase reach, engagement and conversions of your ideal customers! 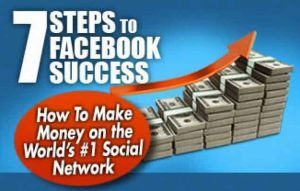 Mari Smith International is recognized as the #1 Facebook marketing authority in the world. Experience ground-breaking training and visionary consulting that drives real results. 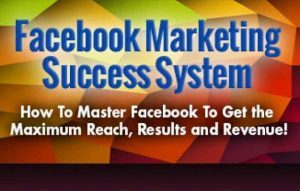 Mari Smith is the most authoritative and memorable keynote speaker on Facebook marketing today. With great enthusiasm, clarity and presence, she educates her audiences with timeless strategies blended with cutting-edge tactics and trends. For companies of all sizes who want better results from social media marketing and online business development, Mari Smith International offers a popular variety of online self-study training programs, live webinars and ongoing monthly support. With her expert knowledge, dynamic presence and worldwide connections, Mari makes an ideal brand ambassador. She can embody your corporate identity and values, representing your brand in a positive light to promote awareness and sales. Sign up to receive Mari's weekly email newsletter, packed with just the very best news, Facebook updates & social media tips you need to know! Mari regularly leads 'Flash' courses: short and snappy how-to video tutorials that teach you exactly what you need to know about the latest Facebook updates. Facebook Ad Optimization, Custom Audiences, Facebook Pixel, Live Video for Business, Messenger for Business, Instant Articles and more.